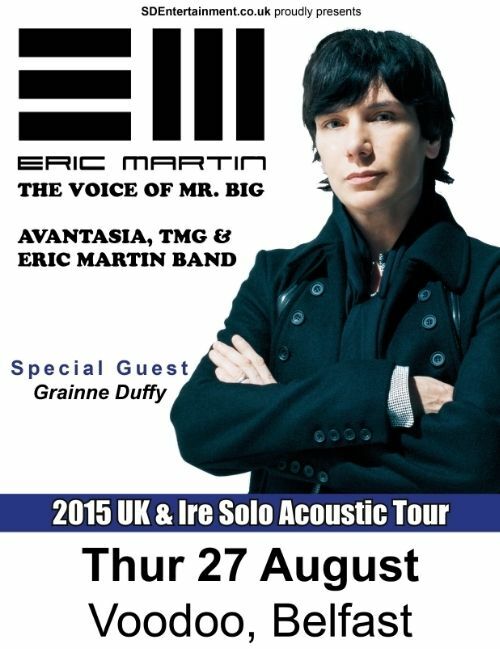 Mr Big frontman Eric Martin completed a solo tour of the UK and Ireland with gigs in Belfast on 27th August and Dublin on 28th August. Support on both nights came from Grainne Duffy. I was at the gig in Voodoo, Belfast and took a few videos. Two of Grainne Duffy and five of Eric Martin performing some Mr Big tracks.